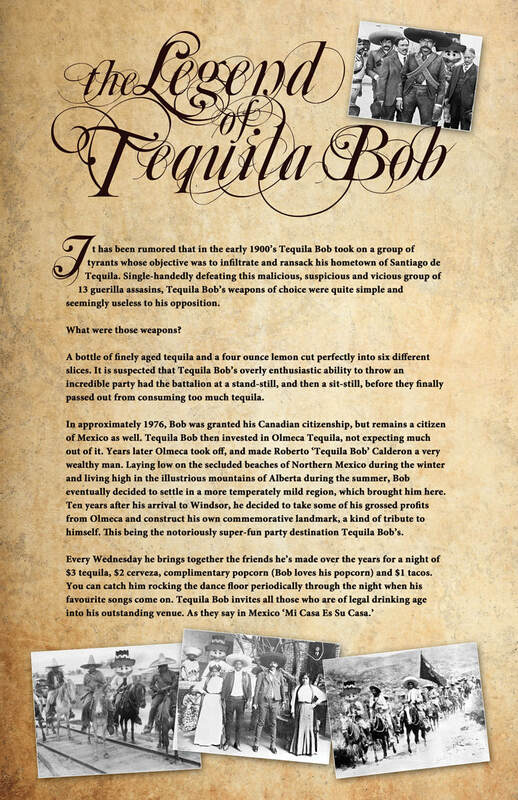 Legend has it that during the Early 1900's, Tequila Bob single handedly defended the town against an army of booty seeking villains! His weapons of choice, a full lemon cut into 6 equal slices and a aged bottle of fine Tequila. In his honour, the constructed a bronze statue that stands at the entrance to the city for all to see. Every Wednesday the city congregates around the statute to celebrate their victory, his victory! With Tequila Bob it's all about TEQUILA. He loves his classic Sauza but isn't afraid to indulge in some ultra-premium Don Julio. Contact Bob to learn more about his tequila. Now it's time to hit the dance floor. Tequila Bob loves to salsa to the hottest Top 40/Club/Remix tunes. He parties with all of his friends and makes sure everyone is having a blast!